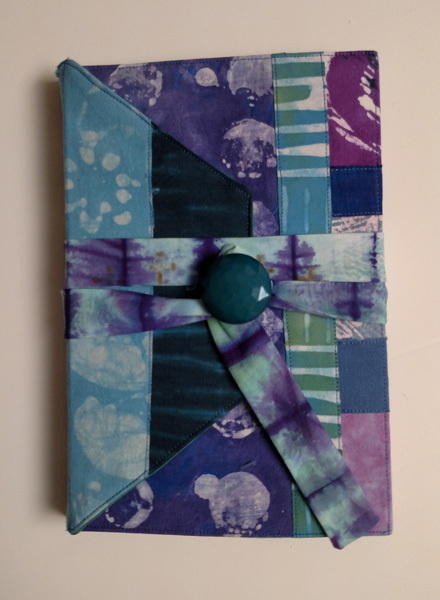 Paper and Threads: I Love to Make Books! I Love to Make Books! Each year I make a "Remains of the Day" book - instructions by Mary Ann Moss - to keep photos and ephemera of my "Art Adventures" with friends. 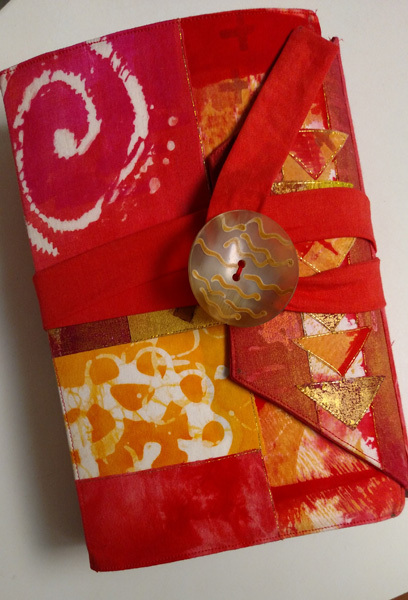 I just finished the pages in my 2015 book and made a new book for 2016. 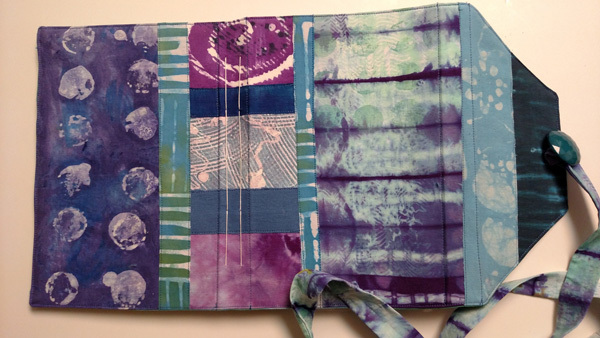 I love making these from my many dyed fabrics, and I refer to them regularly to remember the many gallery and museum visits we make during the year. I have 5 completed books which were begun shortly after I retired. 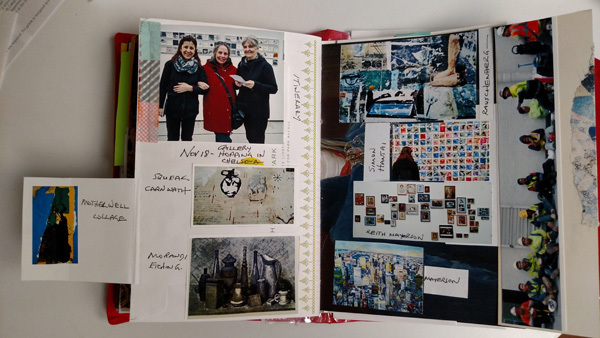 Here is a sample page spread, with a photo of Benedicte, Pat, and Me - along with photos from a day visiting galleries in Chelsea. Some pages have pockets to hold things, other have lift up flaps - anything goes! 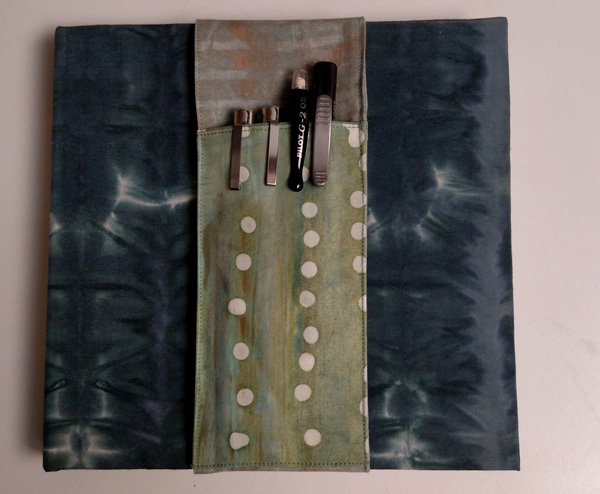 Lastly, I made a new watercolor sketchbook with dyed fabric bookcloth and a pocket for the sketchbook to hold my pencils, pens, and eraser as I walk around sketching.